The Venusian Gambit coming in paperback next month; The Gravity of the Affair still free to download! I admit, Gambit was my favorite of the three Daedalus books to write. By the time I started in on Gambit in 2014, I knew the characters and the worlds very well, and I very much enjoyed seeing this saga come to a rousing conclusion. I got to end this story exactly how I wanted to, with lots of great pulpy goodness and interdimensional hijinks. And to my great delight, Publishers Weekly felt the same way, giving the book a starred review. I’m still kind of stunned by that. 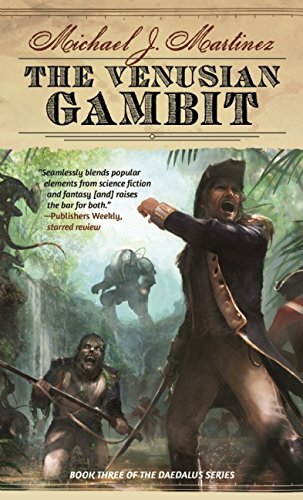 It’s pretty nifty for a book that has mech-suited astronauts fighting side by side with Venusian aliens and 19th century Englishmen against French zombies created with alchemy. 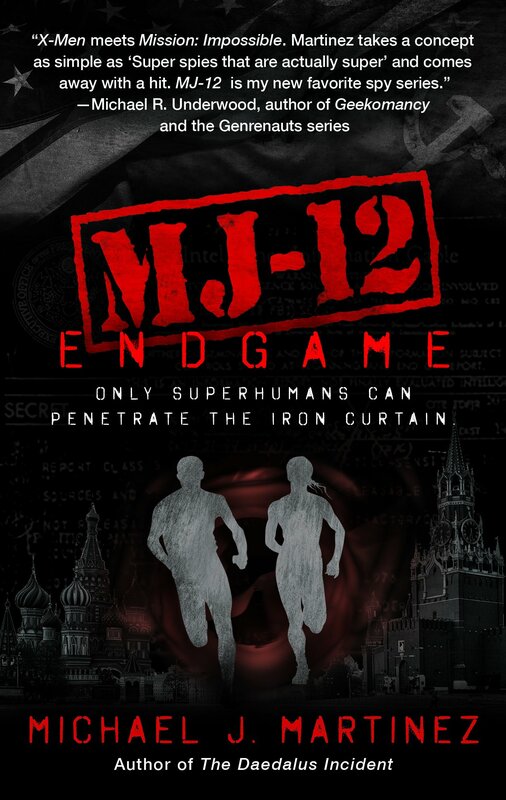 If that last sentence didn’t convince you to pick it up next month, I should also point out that the new paperback edition has an all-new, exclusive excerpt of MJ-12: Inception tucked in the back. This bit introduces you to Maggie, a troubled young woman who’s manifested a very powerful ability — one that bring people to their knees with a thought. July 11, you guys. The mass-market paperback is already up for pre-order at Amazon, and I’ll be mentioning other sites as they become available. And yes, I expect Amazon will reduce the Kindle price as well once the paperback is released. I also want to point out that my e-novella, The Gravity of the Affair, remains free to download at Amazon, Kobo, iTunes, Google Play and elsewhere. (Barnes & Noble has it at 99 cents, for obscure and strange business reasons; don’t blame me.) 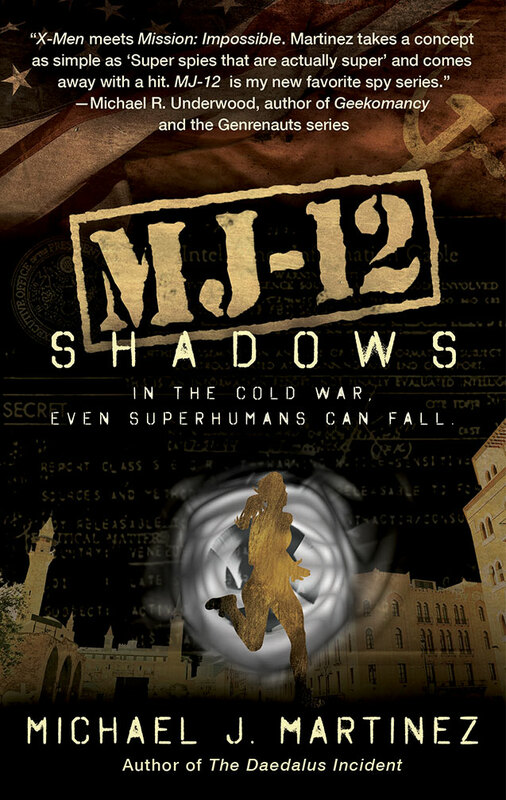 I wrote it back in 2013 as a kind of introduction to the world of the Daedalus trilogy, but it remains a complete, stand-alone story. So if you’re curious about this whole sailing-ships-in-space thing, or just haven’t read it yet, it doesn’t get much better than free! The Gravity of the Affair is now free to download! Needless to say, I’m pretty excited about the re-release of the Daedalus trilogy in mass-market paperback. And to kick it off right, I’ve decided to offer up my tie-in e-book novella, The Gravity of the Affair, for free — from now until The Venusian Gambit is released in July, at the very least. Free, y’all. No strings. Just waltz on over to Amazon, Kobo, Google Play, iTunes, Books-A-Million or wherever you download your e-books, and get it. (Note: Because of various e-book arcana, Gravity can’t be priced at “free” on Barnes & Noble’s Nook platform. Cheapest it can go is 99 cents. No, I don’t know why. Arcana, man.) You can also check it out on Goodreads. Since it’s been a while, I should probably recap. The Gravity of the Affair is set in the Known Worlds of the Daedalus trilogy, loosely tying in with events in The Daedalus Incident. That said, you don’t have to read Gravity to enjoy Daedalus, or vice versa. The novella was conceived as a kind of introduction to the whole sailing-ships-in-space concept, and follows the adventures of a very young, very brash Horatio Nelson during his first command in 1779. There’s action, adventure, a bit of romance, a courtroom drama…it’s a fun little story. I hope you like it. 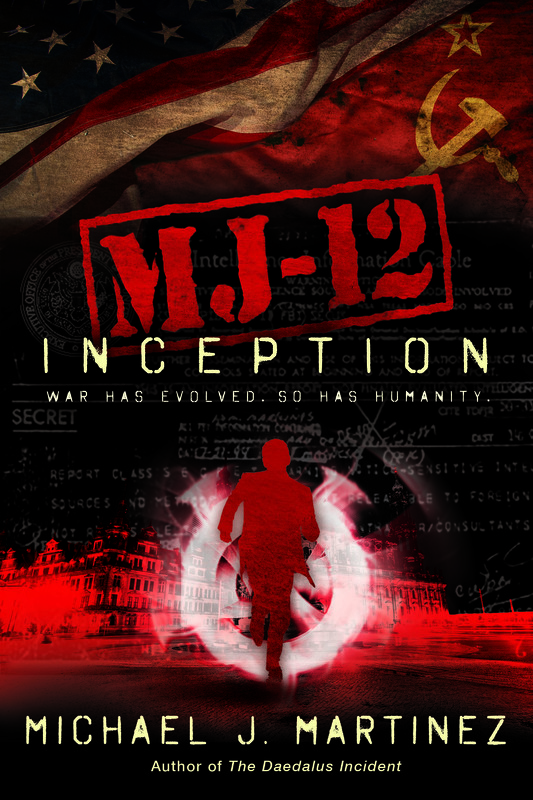 Unfortunately, since Gravity was self-published, it won’t carry an excerpt of MJ-12: Inception. But the paperback release of The Daedalus Incident on March 15 certainly will — and the release of The Enceladus Crisis in May and The Venusian Gambit in July will have brand new excerpts as well. But in the meantime, if you haven’t checked out Gravity, give it a whirl! And do me a solid and tell your friends, too. Every bit helps! Note: Some outlets are lagging a bit this morning and the price remains 99 cents. Hang tight; we expect them to follow suit presently! So it took a bit, but my novella The Gravity of the Affair is now free on Amazon Kindle. You can also get it free via Kobo, Google Play and iTunes. (Sorry, but we could only get it down to $0.99 for the Nook, because of reasons.) So if you think you might like the Daedalus series but you’re not sure, here’s your chance to find out. It’s only for a limited time, so get clicking! And I’m doing stuff today at Phoenix Comicon! At 10:30 a.m., I’m on the Rewriting History panel with four incredibly awesome authors: Beth Cato, Viola Carr, Deliliah S. Dawson and Cherie Priest. Then at noon, I’m doing Historical and Fantastical and Maybe a Little Magical with Cherie and Viola again, along with Django Wexler and Joseph Nassise. Then at 1:30 p.m., I’m signing in room 126b with the authors from the latter panel. If you’re in town, hope to see you there! If not, well…I’m sorry you’re not here, because it’s quite a lot of fun. 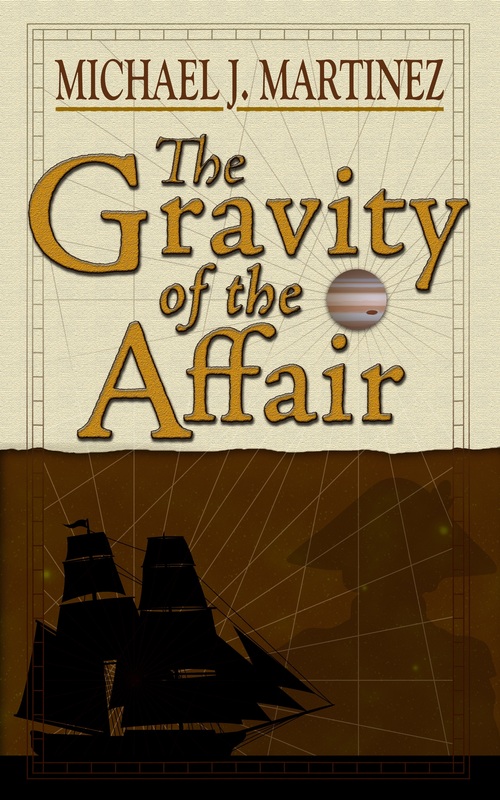 Here’s a little incentive for folks to dive in to the Known Worlds of the Daedalus series: The tie-in novella The Gravity of the Affair is now free on Kobo Books, iTunes and Google Play until the end of the month. This stand-alone story features British naval hero Horatio Nelson’s very first command as an inexperienced lieutenant — on the seas of Ganymede. It loosely ties into some of the events in the first novel, The Daedalus Incident, but is a complete stand-alone tale of adventure at sea and in the Void ’round Jupiter. So maybe you’ve heard that The Venusian Gambit was pretty good, but you’re still weighing whether this whole sailing-ships-in-space thing is your brand of vodka. Here’s your zero-risk chance to find out. Enjoy!